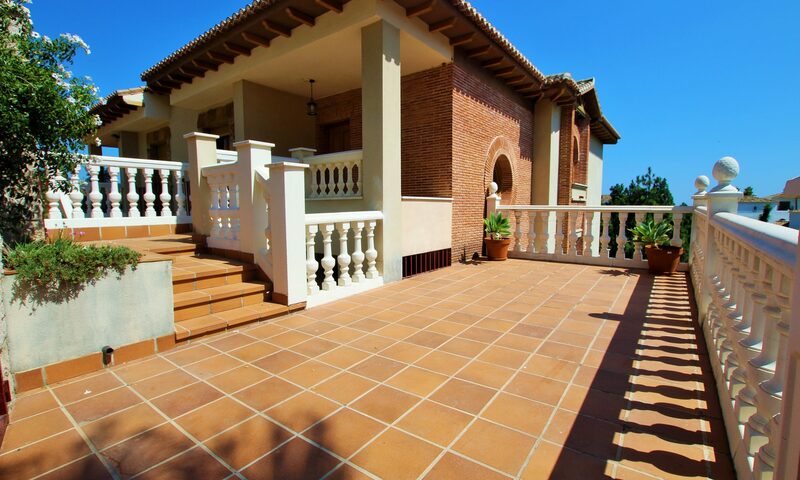 A large south-facing family villa located in a quaint street of similar houses in Calahonda. 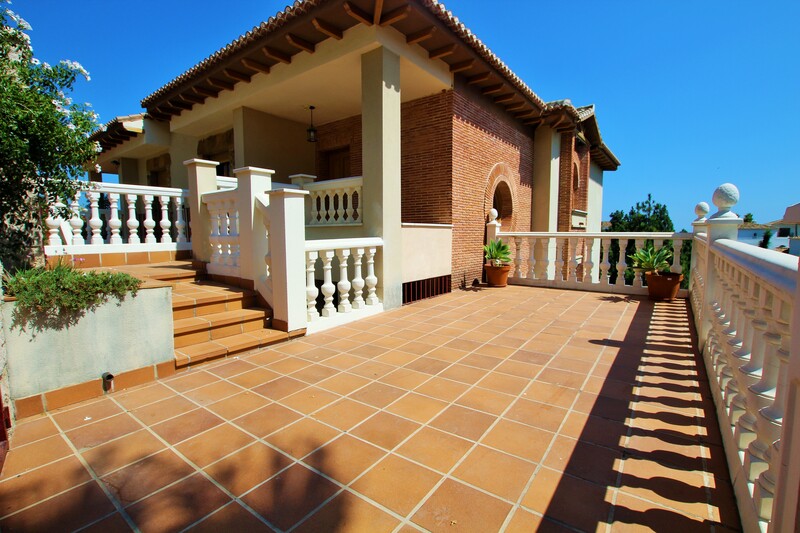 There are 6 bedrooms and 4 bathrooms in total. On entering, there is a hallway where there are 3 bedrooms, all double sized, the master bedroom is en-suite and has a private south-facing terrace. The second and third room share a bathroom with a shower. On the middle level there is a fourth bedroom, a bathroom with a shower, access to a large patio via the hallway, a bright spacious living room with a fireplace, a large fully fitted kitchen and a big sunny terrace which has access to the living room and the kitchen. On the lower level there is a large basement which has been converted into a roomy and modern 2 bedroom guest apartment with an open plan kitchen and a fully fitted bathroom. There is an independent access from the side of the house as well as inside, so it can be made completely independent if one desires. From this level you can go outside to another patio with a barbecue area and steps leading up to another terrace where you have a private swimming pool, storage room and pump house. This is a perfect place for entertaining. If all of that isn’t enough there is a private garden below, down a few steps. This is a truly magnificent house for the money!! Built with good quality materials, air conditioning through out and private off road parking. The “Miel & Nata” complex where there are 3 restaurants and a bar is only at a 5 minute walk away. The beach and other services are just a three minute drive away making this a MUST SEE PROPERTY!!! !